Above is the video I made on the topic of breaking down flavors. This video is aimed at beginner/novice mixers who are looking to jump into the world of recipe development. 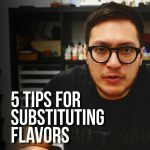 The video goes over many important aspects of breaking down flavor profiles, gives examples of ways to do it with specific flavorings, and talks about its importance for future recipe development. Watch the video or check the notes below to get a good understanding of this skill that many experienced mixers look to master. 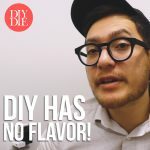 If you’re a beginner or novice mixer and you don’t understand the difference between main profiles, flavor profiles, flavors, flavor notes, yadayada, I highly recommend you check out this video here first, so you can grasp the basic fundamentals of recipe development. Once you’ve got that locked down and tucked away, you can now check this video/post out which gets a bit more specific and useful in the field. The first thing to note is that breaking down flavors is the main jist of what you’re doing in mixing. It’s a way to easily get to your main profile, in a more refined way. So in other words, how well you reach that main profile you want completely relies on how well you can break down that profiles flavors down. They’re concurrent with eachother, and now you’re getting into the good stuff. In the video above, I detail in the simplest ways, how to exactly break down one flavor profile. Using the Strawberry example I made in the video, I’m looking for a specific, sweet, artificial, and slightly “syrupy” strawberry. One that’s like a Nesquik strawberry syrup meant to be mixed with milk. Unfortunately, there are no single flavorings out there that can get me that profile all by itself, so I’ll need to breakdown that strawberry into a few different strawberries to reach it. I particularly use CAP Sweet Strawberry at 4%, TFA Strawberry 2%, and TFA Strawberry Ripe at 1%, to get me that strawberry I’m looking for. The reason I chose those flavorings is from notes I took on my testing, other recipes, and experimentation. If I’m using that in a Strawberry Milk recipe, then that’s only one profile in a recipe that has two or three. The other profile I’ll need to break down is the milk, to get me the exact milk flavor I’m looking for. While this sounds simple, it’s not. It takes a lot of mixing, a lot of testing, and a lot of notes, to know exactly what flavorings to use to give a specific flavor. But the process itself is easy to understand, and allows you now to take your notes with “breaking down” in mind to help you in your future mixes. And I want to further stress that point. What we’re all doing in mixing, is finding flavorings that can help us get the flavor we’re exactly looking for. Don’t expect to just hop in to the art and think you can start breaking things down right away and nailing an ADV every time. This is the entire battle, right here. Finding what combo of flavorings to get us what we need. It gets even more complex when involve complex recipes with more than 2 or 3 flavor profiles. Because then you need to deal with contrasting flavorings, and many issues arise that can throw your plans off. It takes patience. Just take it slow, take your notes, and be aware of every flavor and note you can taste. If you try to rush into it, you’ll quickly get frustrated and burnt out. There’s just too many combinations of flavorings, especially with new flavorings coming out all the time, to expect to hit the lottery every day. But if you take it slow, enjoy the art, and enjoy the vape, you’ll get there sooner than you think, crafting recipes that will blow your own mind. And that’s what we’re all here for. If you enjoyed this article and video, feel free to share this article to friends and family using the buttons below. 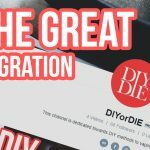 Also, if you want more indepth articles, videos, podcasts, news, and tutorials about mixing, vaping, and art, head over to the DIYorDIE shop to grab a membership and gain an all access pass to the entire site. Keep Mixing, Much Love.